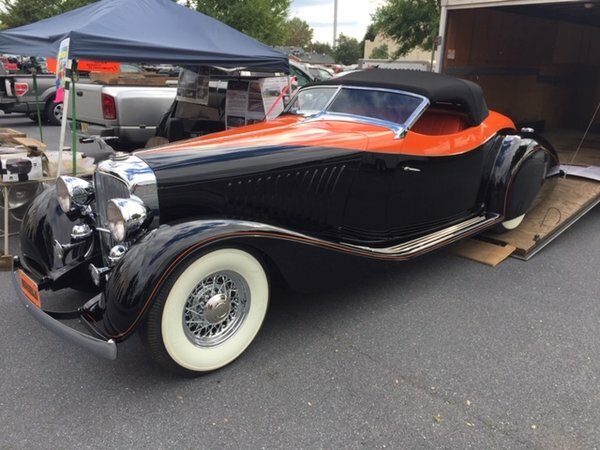 How Much Is Enough: This Duesenberg Clone Has An Asking Price Of $249,000 – Crazy or Not? Clone cars are nothing new, there’s a booming market for them all over the place but some of them are certainly in a different league than others. That can be a good thing or a bad thing. Don’t have the cash for a real hemi Road Runner? No problem, slide an elephant motor into a 383 car and voila! But what about clones of insanely valuable collector cars. What are they worth? The car below presents an interesting case because it is an 88% scale version of a 1936 Deusenberg Model J. 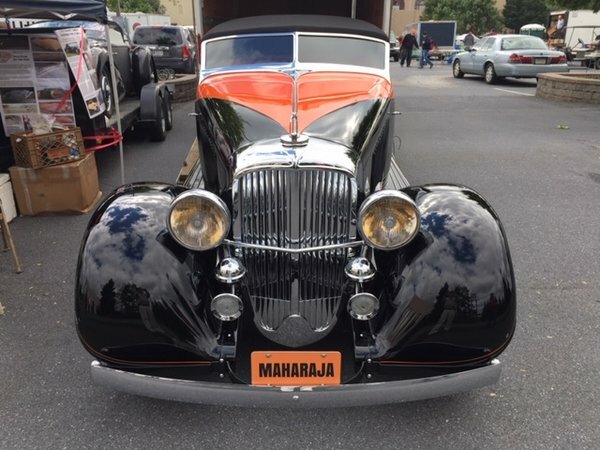 This is not a 1936 Deusenberg Model J with a steel body and all kinds of Duesenberg parts on it. This is an immaculate car, don’t get us wrong, we are not taking quality shots at it but it bears a closer look. There are exactly zero actual Deusenberg parts on this thing. 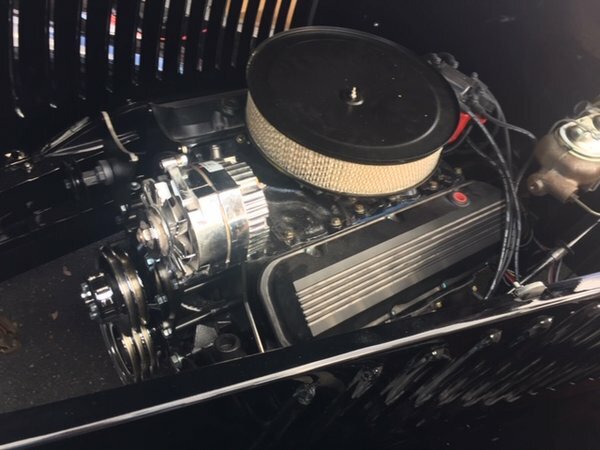 The body is a well crafted fiberglass piece, the engine is a 502ci big block Chevy, the chassis is from Fat Man Fabrications, and there is a 9-inch Ford axle anchoring the whole thing down. From the looks of it, the car is not finished, unless the engine photos were during construction. You’ll note that there are no belts on the accessories and no visible lines in the engine compartment. There does not appear to be a cooling system that we can see either. This is a beautiful car. This is, at worst, a hand crafted machine the likes of which are so unique that the only other one you will see is the actual car it is modeled after. That being said, $249,000 seems a bit of an insane investment for something that will never actually be a Duesenberg. What’s the market for this when the new owner wants to sell it? Like we said, as a custom, wow. 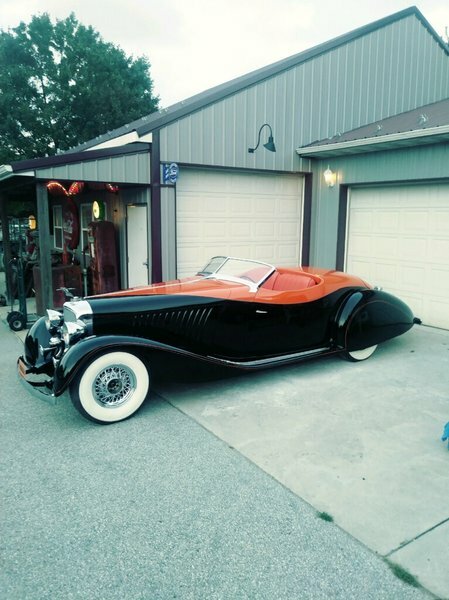 As a Duesenberg? Tough sell. RacingJunk.com: Is an 88% to scale sized Duesenberg clone worth $249,000? This $1,000 Nissan Pulsar Seems Like A Barrel Of Fun In The Dirt - The Cure For The Quarter Million Deusey No, Really, It's A Great Idea: Who Wants A 760 Horsepower AMC Gremlin? The license plate should read “Marijuana”…you would have to be stoned to buy this “clone”. Very cool car but it would have to be totally done with a great story behind it . Like I wanted this and I had it commissioned . To a second owner nope . It walks like a duck, talks like a duck, but it’s not actually a duck. But, yet the owner asks the price as if it were a duck. I suppose PT Barnum put it the best, “there’s a sucker born every minute” and if the owner gets it then good for him. It just won’t be me. Nope!! Nothing here anywhere close. Not worth any more than one of the kitted 32-34′ Fords which can be bought in the 40’s and 50’s finished. Yep. It certainly looks pretty, but it is really just another fiberglass bodied street rod with ordinary running gear, and should be priced like one. If he’d somehow reproduced the original straight eight, he might have more of a case. It’s like a custom suit, tailored to the body and taste of the first owner. Wait till it comes up for auction at BJ: you can get it for 25 cents on the dollar. That car is a custom street rod made to look like a Duesenberg and nothing else. If the REAL one of a kind Gurney Nutting Duesenberg SJ speedster were ever to become available at auction, I have little doubt that it would fetch 5-10 million. It is a spectacular car with a rich history, and all the right elements to score big. Such as: unique, supercharged, beautiful design, un-molested original, disappearing top, amazing provenance, known history from new, royalty ownership. As far as the “clone”, IMHO, it is worth what it would cost to build, to someone who really wanted it. Building a one off clone is way more costly that assembling a kit car. This one, with its Fat Man chassis, is an amalgamation of a kit car and a custom clone. Deusenberg’s were custom vehicles when new. You purchased one of two chassis, J or SJ. Then you sit down with designers to decide what kind of body you want on it. Each and every one were unique and hand built. Their auction prices reflect that. This is a hot rod built with a chassis and a crate engine with nothing more than a somewhat interesting fiberglass body. A hot rod built from mostly catalog parts does not deserve the price asked. Not even close to being realistic on the price. Most likely trying to get what he has invested in the project. Funnily enough I knew that this fake would have a Shitrolet motor under the hood when I read the headline. The seller of this thing should be indicted for fraud and it should be burned in public!